11. Round ‘em or Through ‘em? Barry (Jay Gallagher) is a talented mechanic and family man whose life is torn apart on the eve of a zombie apocalypse. His sister, Brooke (Bianca Bradey), is kidnapped by a sinister team of gas-mask wearing soldiers and experimented on by a psychotic doctor (Berryn Schwerdt). While Brooke plans her escape Barry goes out on the road to find her and teams up with Benny (Leon Burchill), a fellow survivor – together they must arm themselves and prepare to battle their way through hordes of flesh-eating monsters in a harsh Australian bushland. 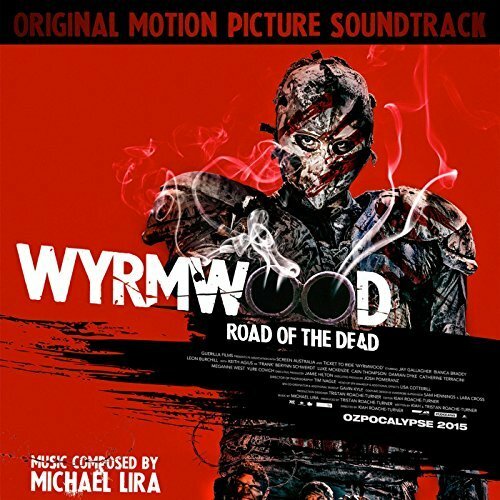 The movie soundtrack of Wyrmwood Road of the Dead will be released on May 13, 2015 by VHM.